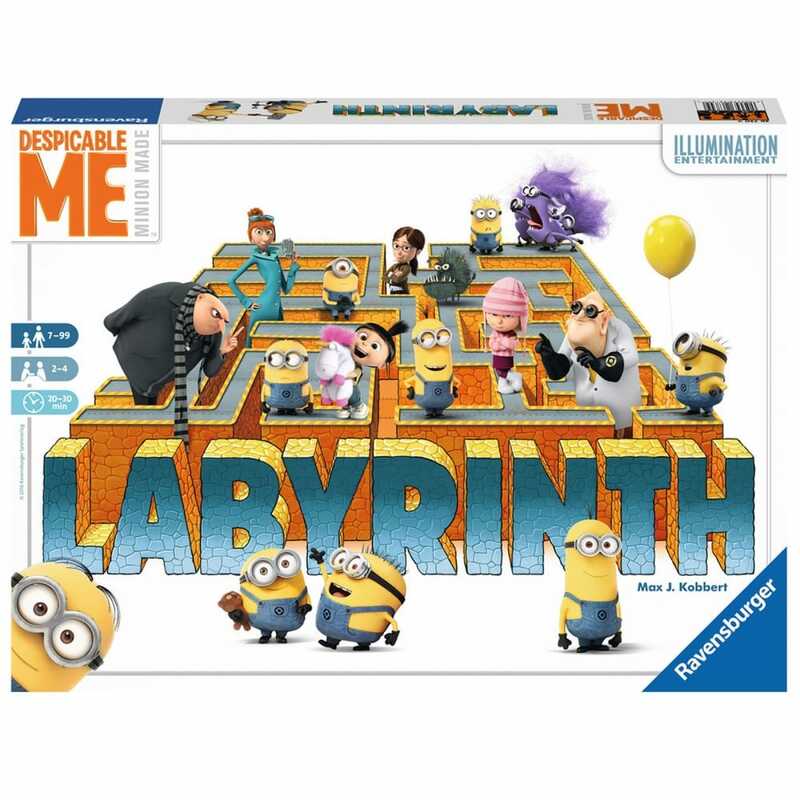 Try to find the hilarious yellow Minions, the former super villain Gru, his three adopted girls and several other friends and evildoers. It's really easy to shift the pathway, move your playing piece, and find the movie stars. Contents: 1 game board, 34 square maze tiles, 24 character cards and 4 playing pieces.